The program would allow the lender to sell the loan on the first day of construction. The loan would be mixed with traditional mortgages into mortgage backed securities, which would theoretically result in cheaper construction loans. The borrower would not begin repayment of the loan until moving into the completed house. The pilot still needs approval from the Federal Housing Finance Agency. Options are also being considered for rehabilitating dilapidated homes. Basically, what this means is it would not be necessary for the lending institution to carry a construction loan. Currently, when you build a house a temporary loan (construction loan) is used for the construction process. As progress progresses, distributions of the funds equal to the amount of work completed are payed to the contractor. 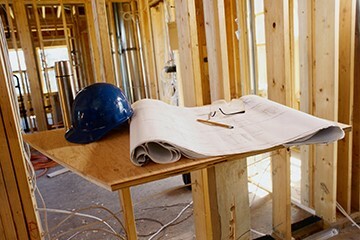 At the end of construction, a new loan is originated to sell to the secondary market. This program would take away the necessity of these temporary loans. Who would be responsible for dispersing funds to the contractor? What safeguards would be put in place to keep from abusing the program? How would cost overruns be handled?